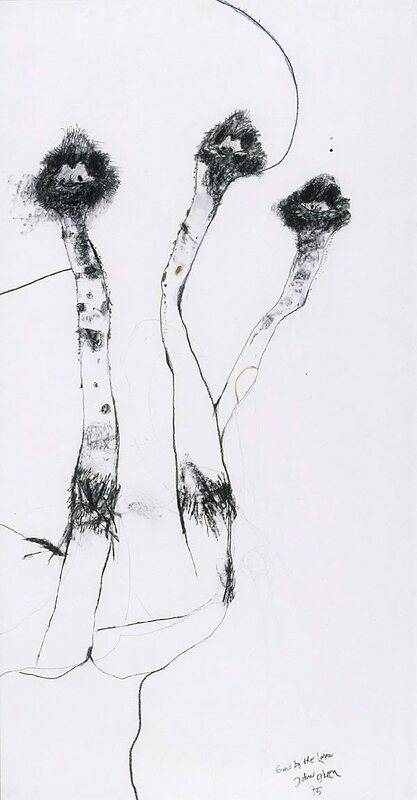 Drawing is a vital element of Olsen's oeuvre and the Gallery has over fifty drawings in the collection. 'Emus by the lake' is an exuberant drawing inspired by the miraculous abundance of life at Lake Eyre in South Australia following floods, an area visited by Olsen in 1974-75. Signed and dated l.r., charcoal "... / John Olsen/ 75".